The Chroma Crochet Bag features a stitch pattern that I’ve seen in several places – but the only name I’ve seen for it is Ripple Stitch – and since I has nothing to do with chevrons I think it’s time to give it a new name. So I’ve gone with Overlapping Post Stitch – descriptive and easy to remember I hope! Here’s how it’s done. 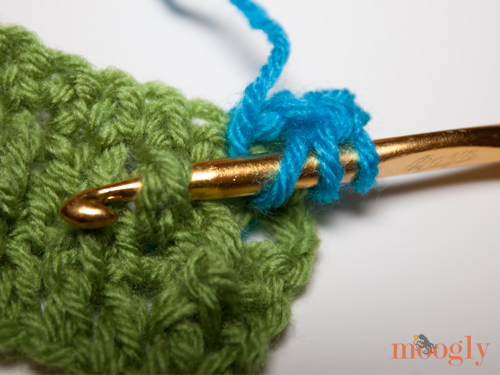 If you are working this pattern flat in rows, you’ll need to start with a multiple of 2 + 1, plus 2 for the base chain. If you are working it in the round, you’ll just need a multiple of 2. 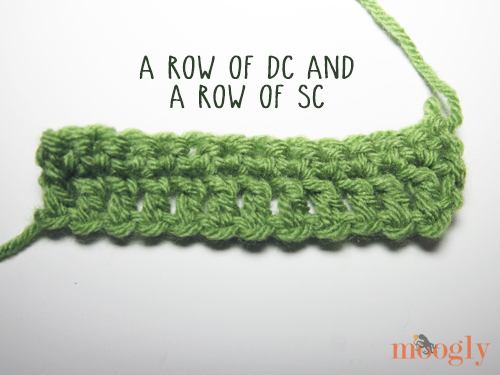 You can start the odd numbered rows, or dc and dc/post st rows, with either a ch 3, and ch 2 and dc, or a chainless starting double crochet – use whichever method best suits your project. Here I’ve written it as a standard ch 3, which will count as the first st of the row. 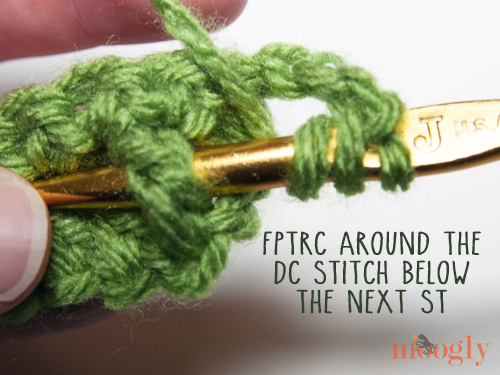 Fptrc – Front post treble crochet. Row 1: Dc in the 4th ch from the hook, dc in each st to end, turn. Row 2: Ch 1, sc in each st to end, turn. Row 3: Ch 3, *fptrc in the dc st in the row below the next st, dc in the next st. Repeat from * to end. Turn. Row 4: Ch 1, sc in each st to end, turn. Row 5: Ch 3, dc in the next st. *Fptrc in the dc st below the next sc st, dc in the next st. Repeat from * until 1 st remains, dc in the last st. Turn. 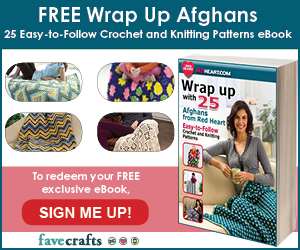 Repeat Rows 2 – 5 as desired or according to the pattern. 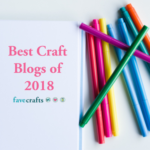 Where you put any color changes depends on the pattern you’re following or the look you’re going for – I think switching to a new color on a dc/post st row works best, but again, it’s up to you! 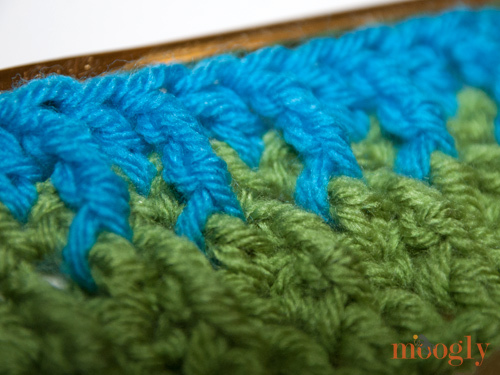 I hope this tutorial for the Overlapping Post Stitch Pattern helps you make the Chroma Crochet Bag – or come up with your own fun project featuring this stitch! Thanks for watching! 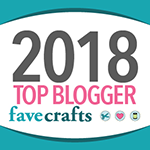 Shared at the CrochetHappy Crochet Awesomeness Linky Party! 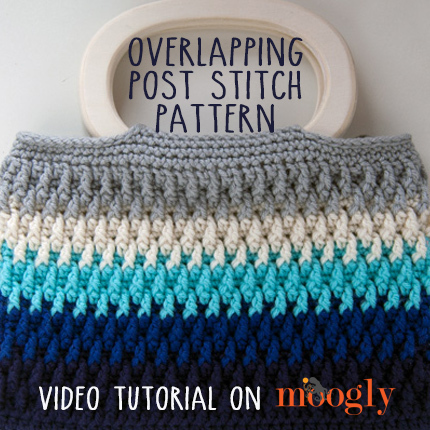 Hi Tamara, thanks so much for sharing this tutorial for overlapping post stitch. The handbag you made is so pretty and I love the colors. 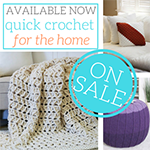 I saw it on crochet happy link party. Thank you for sharing your pattern, love it!! 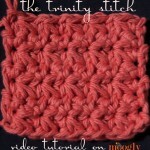 I took it down a notch and used half-double crochet and double crochet instead of double and treble. Much more dense fabric for those cold Minnesota winter days for my grandkids. Thanks again!! 😀 You’re very welcome Dena! Stay warm up there! IN the instructions for Overlapping Post Stitch you should repeat rows 2-6 where is row 6??? Sorry about that Cheryl, that should’ve ready 2-5. I’ve fixed it in the post! Thank you so much you were sharing this tutorial. I love this stitch I made it as a clutch for my cruise I haven’t figured out to add the handle as the one above, but it is gorgeous thank you for sharing. Thank you! 😀 Let me know if I can help with the handle! 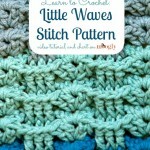 I’m loving this stitch! I’m using it to make some legwarmers for my newborn son! 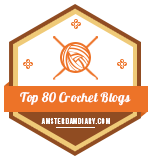 Such a fun stitch to work – thanks for sharing it! Thanks for this pattern. 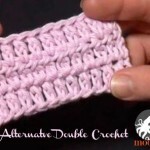 I have been croching for several years and have not tried this combination. Anxious to start another project with this pattern. .
😀 I hope you enjoy it Irma! 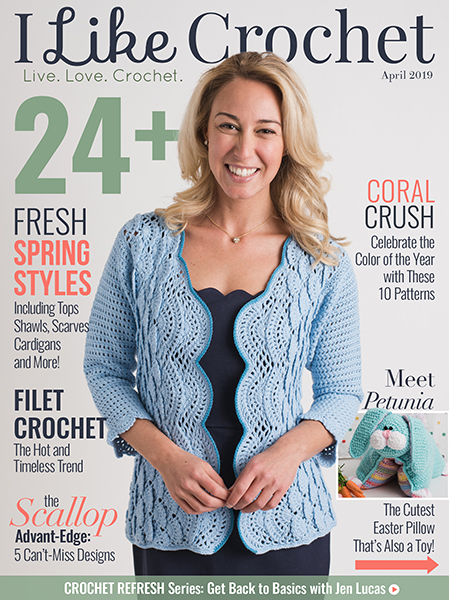 Thanks, Tamara, I will start on a project “crocheting” the overlapping stitch soon as I tie up some loose ends I am working on. Can’t wait to see how this will turn out. 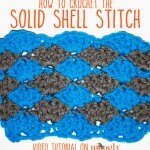 Always looking to learn and try out new stitches! What lengthy chain would I start with?